Describing the steps of the plastic injection molding process of Superior Plastics is really a convergence of skilled labor, a laser-like focus on doing the job right and effective customer service, where clients are front and center in the decision process. Simply working with a customer on what they’re looking for with their order sounds simplistic, but often is overlooked by businesses who are more concerned with having total control. What that customer wants may be general in nature or may require a great deal of intricate design, but the latter aspect is definitely not for their faint of heart, and is generally considered the most challenging task in the process. When the time comes to craft the molds, specialized injection molding equipment that has to perform to precise or the plastic is effectively rendered useless. Given the wide range of products that end up being produced, there’s a wide variance in these injection molding machines, since different levels of clamp force are needed. For example, if a large part is being used in a smaller machine, that part will undoubtedly have quality control issues. That in turn could result in much more severe consequences if that is simply one part of a much larger entity. Different forms of thermoplastic are used in these creations, such as polypropylene, polyethylene, nylon, polystyrene and polycarbonate. These wide variety of resins in granular form are carefully poured into a device like a hopper, where it remains stored until sent to a heated barrel. The high temperatures resulting from that barrel heat begin the turning of a screw thread. As that thread is turned with the aid of a motor, those granules are released through the high temperature area, resulting in them turning to liquid. That liquid continues into the mold cavity, where it eventually cools off into the shape that the customer has previously determined. During that injection molding process, material shrinkage often occurs with respect to thermoplastics, which is why maintaining the holding pressure after the cavity fills up is so important. Once completed, the mold opens up after a specific amount of time based on the product and is ejected so that a worker can remove it. This time frame can vary, but can be as little as a second. 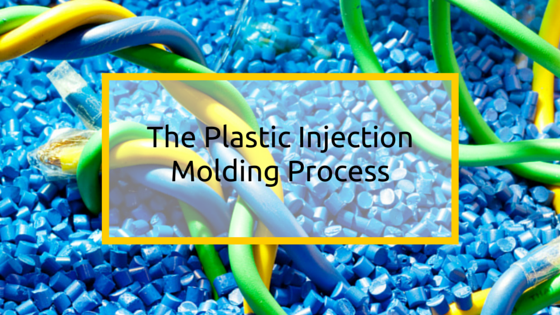 When a company needs a reason to embrace the plastic injection molding process as an effective method of production, the lowered costs involved in any number of order types offers the most compelling argument when they eventually decide on Superior Plastics. Flexibility in being able to adapt to such orders can also be factored in, since speed may be of the essence. This is true of clients around the Fort Worth area as well halfway across the world. For more than three decades, Superior Plastics has been able to establish itself at the forefront when it comes to handling the plastic injection molding process with the skill that our customers in the Fort Worth area and across an international spectrum fully expect. All of these jobs have strict deadlines, which not only have to be met but also require experienced personnel handling such duties. The trust that has developed over the course of that period is one reason why the company continues to grow each year while still based in Fort Worth. Therefore, when a specific injection molding project comes to mind, contact Superior Plastics.